The global manufacturing industry produces goods using labor, tools and machinery, and involves a spectrum of manual tasks carried out by people as well as other high-tech activities performed by machines and computers. 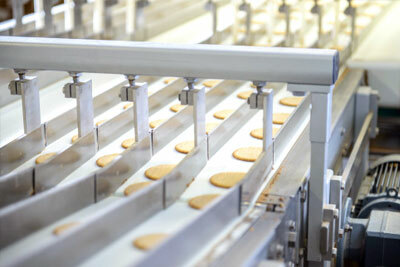 Manufacturing plays a central part in many different sectors such as the industrial, automotive and food industries. Other market segments that involve a degree of manufacturing include the chemical, aerospace and defense, electronics and pharmaceutical industries. Manufacturing is used to produce materials such as paper, wood, plastics and packaging. Specifically, industrial manufacturing covers the mass production of finished goods from raw materials where machinery and materials-handling equipment are optimized for output. The main pressures for companies operating in the global manufacturing industry involve the conception of innovative products, competition from domestic and foreign companies, and making a profit while satisfying the need for cost competitiveness. Labor: The manufacturing of goods is a traditionally labor-intensive activity. The industry is, however, becoming increasingly automated with companies relying more on machines and less on labor skills. Revenue is greatest for companies closest to raw materials and markets, making the best quality goods at the lowest production costs. With much manufacturing work being physically intensive and most companies employing more than 60,000 people on average, the industry incurs considerable costs due to labor unions. Workers contribute to the significant profit made by manufacturing goods, like those made by industries such as aerospace, automotive or global furniture, and are motivated to negotiate a safer working environment, better pay and more benefits. The tradition of labor unions is less instilled in developing nations than in the US, which can therefore be at a competitive disadvantage as labor union actions add to company costs. Raw Materials: Another significant cost to manufacturing companies is raw materials. The manufacturing of airplanes, shipping boats, cars, infrastructure and many others all require mass amounts of raw materials, which are costly. Transport of raw materials is also an important factor as depending on proximity to the materials used, companies can encounter large expenditure on getting the raw materials to the production site. Legislation: Due to the potentially harmful impact of manufacturing on the environment (such as lighting products), government legislation is becoming stricter regarding the regulation of emissions and safety standards impacting directly industries such as the packaging business and the printing sector. Enforced standards drive up corporate operating costs and necessitate greater research and development as well as technology-intensive practices. According to the US National Association of Manufacturers, the US represents more than a fifth of the global manufacturing industry, with China producing 15% and Japan 12% of manufactured products. The US manufacturing industry’s output is in excess of $1.5 trillion worth of products, more than 11% of the country’s gross domestic product. The industry represents close to 19 million US jobs, and employs almost 10% of the country’s workforce. Developed markets in the US and the EU are now beginning to foray into emerging markets to generate revenue. These markets can benefit from technological standards in place in developed markets. Also in the top 10 are: Microsoft, Philip Morris International and mattress manufacturer Tempur-Pedic International. The top nations in the manufacturing industry are expected to change over the next five years, according to Deloitte’s 2010 Global Manufacturing Competitiveness Index. Among those forecast to gain market share are Thailand, Poland and Mexico. India, China and the Republic of Korea are expected to continue to loom large on the global manufacturing market through 2015. Countries expected to see a degree of competitive decline include the US, Germany and Japan. The global manufacturing industry also includes the metal manufacturing, electrical equipment, and robotics sectors.